Achieve effortless coverage with the First Aid Beauty Goji Berry Skin Tint Protection Fluid SPF 30; an ultra-lightweight formula that is suitable for all skin types. 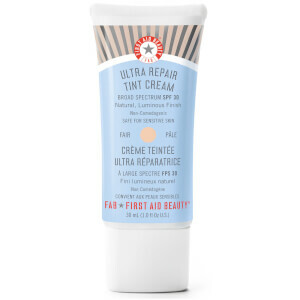 Arriving in a variety of adaptable hues, First Aid Beauty has created a skin tint for a wide spectrum of skin tones. The weightless fluid effortlessly glides across skin, blending seamlessly without the need for a brush. Delivering natural-looking colour, the tint visibly evens skin tone and conceals imperfections to reveal a perfected complexion in an instant. The superfood-powered formula is rich in antioxidant ingredients. Combining Goji Berry, Astaxanthin and Vitamin C, the skin tint envelops the visage in a protective veil, which shields skin from environmental aggressors and pollution. Finished with Zinc Oxide, the SPF30 formula filters out harmful UVA and UVB rays to protect skin from photo-ageing. Expect an even and uniform complexion that is visibly flawless and perfected. If you have normal to oily skin and you are not looking for ton of coverage I think you will love this. It feels really nice on the skin and the application is quite easy and I usually just use my fingers to spread it all over my face and than use the beauty blender to work it in to my skin (otherwise the beauty blender will soak up most of the product). I do think that it last quite long. It has mineral SPF30 provided by zinc oxide and titanium dioxide (at least that whats my box is saying but the ingredients on this site fail to mentioned the zinc oxide - but they do talk about it in the description). I do still use regular mineral sunscreen under it. I do really like the finish which is quite matte but I do still put a little powder on top of it (mainly on the t-zone). 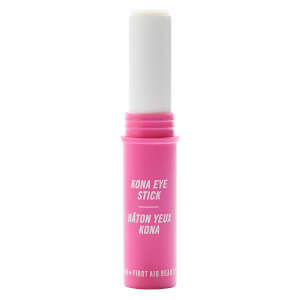 I don't know if the coverage is buildable because I honestly didn't try it as I do like sheer coverage. The minus of this product is that it can hold to your dry patches and make them more visible or it can even look cake up. I usually just wet my beauty blender and go over the dry patches. I do want to try to mix the product with just a drop of a facial oil and apply that to my dry areas. Maybe that will solve the problem. Other than that I do really like this product. I have sensitive combination skin with oily t-zone and dry areas mainly around my mouth and chin.